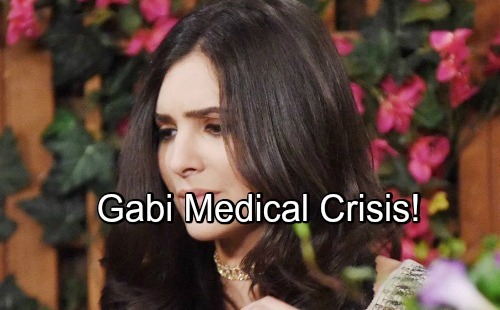 Days of Our Lives (DOOL) spoilers tease that Gabi (Camila Banus) will be on a mission. She’ll do everything she can to patch things up with Arianna (Harper and Sydnee Udell). It broke Gabi’s heart when Ari declared that she hated her mom. Of course, part of the problem is Gabi, Sonny (Freddie Smith) and Will’s (Chandler Massey) dishonesty. Ari’s too little to understand the details and she certainly doesn’t need to hear about her mother’s time in prison. However, it wasn’t the best idea to pretend Gabi was away on business. Ari naturally feels like Gabi abandoned her. Perhaps Gabi could sit Arianna down and make her understand she why she couldn’t come home. If nothing else, she could explain it in kid terms and suggest she was stuck in a time-out she didn’t deserve. Then again, maybe Gabi should just buy Ari a ton of toys and be done with it. Let’s be real…that would fix this! While Gabi’s busy trying to repair the damage, another setback will strike. Days of Our Lives spoilers say Gabi will suddenly battle intense pain. It sounds like she’ll keel over in agony, so she’ll definitely need some help. Thankfully, Maggie (Suzanne Rogers) will come through for Gabi. She’ll be in the right place at the right time, so that’s good to hear. Days spoilers state that Maggie will rush Gabi to the hospital and hope everything’s OK. She’ll undoubtedly stick around to make sure Gabi’s taken care of. Unfortunately, this crisis is just the tip of the iceberg. DOOL fans can expect another round of drama before long. Days of Our Lives spoilers say Kayla (Mary Beth Evans) will examine Gabi and run a few tests. The results will lead to shock and total despair for Gabi. It looks like Gabi won’t be able to have more children due to her prison beating. Her internal injuries were just too severe. Gabi wasn’t planning on having another kid anytime soon, but she might’ve wanted more someday. 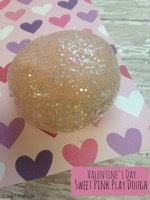 She’ll believe Stefan (Tyler Christopher) and Abigail (Marci Miller) robbed her of something special. The timing of this revelation couldn’t be worse. Abigail’s got a bun in the oven and a paternity test that’s just waiting to be messed with! We’ll give you updates as other Days news comes in. Stay tuned to DOOL and don’t forget to check CDL often for the latest Days of Our Lives spoilers, updates and news.